That preorder page for the Samsung Galaxy S3 at Amazon Germany? Well, it has apparently attracted the attention of so many customers, that the yet-unannounced handset shot to the top of smartphone sales there. Priced at 600 EUR without carrier subsidies, Amazon lists it with a 12MP camera and a 4.7" Super AMOLED display. Moreover, it is referred to as the Samsung Galaxy S3, confirming once again the titling that we saw as keywords in the new Samsung Unpacked 2012 app. Besides the unlocked version that Amazon Germany is selling, rumor has it that the Galaxy S3 saw 10 million preorders by carriers worldwide already, with some South African telcos spilling the beans that they are expecting to stock it up in June, which seems more and more probable, considering the launch is as soon as next week. 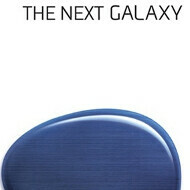 O2 just confirmed in a tweet today that it will also be carrying "The Next Galaxy", which is how Samsung refers to the phone in its Unpacked event invitations and the teaser videos that were outed yesterday. Yesterday, Vodafone was also spotted to bring up a teaser page for the next Galaxy, making it the first carrier to officially announce it will carry whatever Samsung has in store for us come May 3 in London. oh man. if sammy is able to meet expectations, (which i am pretty sure they `ll be able to), its going to be HUGE !!! this phone is giving techgasm to millions of people worlwide before even its launch. now this is awesome. cant wait for may 3. Build quality and build material are two different things! And here we are in the good old US of A...defenders of the free world and arguably the most technically advanced nation in the world and whaaaa? Let's get some news on this side of the pond please!! Hmmm...you should travel and then rethink that statement. Hell, just watch C-Span and you can watch our government hold back all types of technological advancement. We are good the most advanced at blowing things up though. lol at the obession, exactly what the ifans are when a new product is released. You guys don't even know what they are releasing, yet blindly following like a sheep. You arn't fit to say them at all. I can feel your frustration and your envy here, stupid nokia fanboy. We, all here, willingly choosed to follow the new Samsung's Galaxy S because their previous versions were the BEST when they came out! Don't take your own case for a generality! You are the blind sheep following nokia to its doom. I notice a iManiac thumbing down all the comments. So I know I'm gonna get more thumbs down than anyone in the history of thumbs here, but what is actually such a big deal about SGS3? If this is just another android phone with better specs, why is that a big deal? Especially if the specs are not revolutionary much better than the HTC One X? But seriously, why is this such an event then? Anticipation should not be the indicator of a products value, ie iPhone 4S. As far as I can tell, the specs are not revolutionary but in the phone world its really a matter of how those specs are packaged. Samsung has a known history of producing stellar phones and that makes them the company to watch for their next device, plain and simple. However, only the willfully blind can ignore the similarities between the heightened anticipation for the next big android phone and the next iphone. "I wished Nokia was more like Samsung or even Apple." -eaxvac talking to himself. clear example of a sheep. Lol, that would explain it. Hope the SGS3 fans won't be let down then.